In honour of the Lunar New Year, which falls on February 16th this year, toy manufacturer Dead Zebra is releasing a new Year of the Dog vinyl Android figure. Priced at $12 USD, the festive figure trades in its antennae for a pair of red dog ears. It also comes with a commemorative gold-painted medallion and a special box with reflective gold foil. The figure is available to order today, with the company promising it will ship out to customers on February 9th. Most Android fans know all about Dead Zebra. 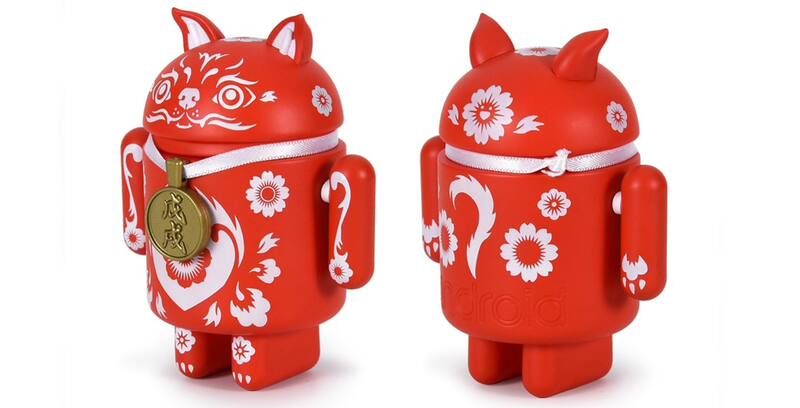 The company has an official partnership with Google to make Android figurines. Over the years, Dead Zebra has put out some particularly charming renditions of Android’s loveable mascot. Last year, the company did a Year of the Rooster figure.